The Ocean Beach, CA-based band formed by multi-instrumentalists Kyle McDonald and Miles Doughty has matured into a versatile musical ensemble consisting of drummer Ryan “Rymo” Moran; percussionist Oguer “OG” Ocon; saxophonist Daniel “Dela” Delacruz; keyboardist Paul Wolstencroft; trumpet and trombone player Andy Geib, and an arsenal of guests that frequent the stage, most notably Karl Denson (Rolling Stones/Greyboy Allstars), Don Carlos, Chali 2na (Jurassic 5) and Rashawn Ross (Dave Matthews Band). Their prolific 2017 schedule included international shows in South America, Australia, England and the Netherlands, in addition to the 30+ national headlining dates that encompassed the band’s annual outdoor amphitheater tour, “Sounds Of Summer 2017.” In December, the genre-mashing outfit will host its 4th annual Closer To The Sun, a four-day gathering of music in an intimate all-inclusive setting in Puerto Morelos, Mexico. The festival also represents Slightly Stoopid’s philanthropic side, as the event raises funds for the non-profit Positive Legacy. 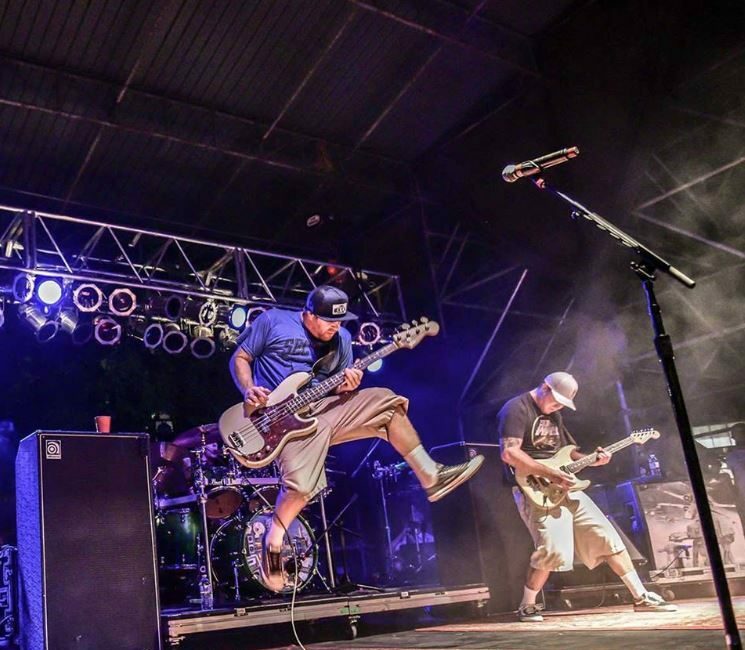 An eclectic band when it comes to musical styles as well as collaborations, Slightly Stoopid, now in their second decade of making music, continues to manufacture an energizing & multifaceted sound that has been described as “a spiritual bath of positive party energy.” Look for new music in 2018.